Two weeks ago, Israel announced a plan to demolish 20 buildings in the West Bank village of Susiya, a fifth of the village. Today, the villagers were handed a document and map showing almost half their village is set to be demolished. 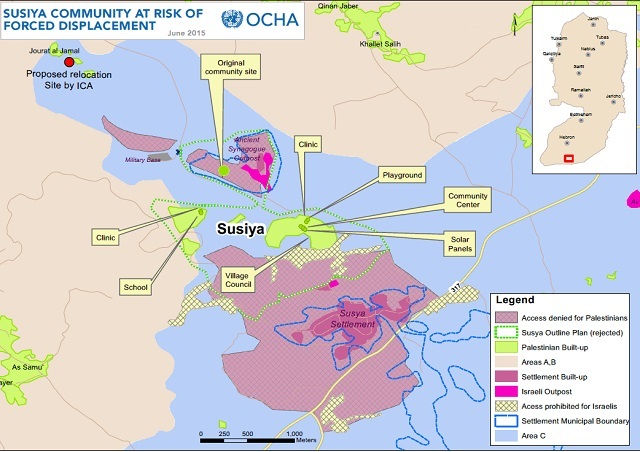 If enacted, this demolition will constitute a violation of the most basic human rights of the people of Susiya as well as their most basic humanitarian needs for shelter. On the 22ndNovember, the Israeli State Attorney’s Office announced a plan to demolish 20 buildings within 15 days in the West Bank village of Susiya, which represent one-fifth of Susiya village. Today, villagers were reportedly handed a document and map detailing a demolition of 40% of their land. The demolition will violate the fundamental human rights of many of the villagers, half of them children. The village’s health clinic, which provides health services for around 500 people, is among the buildings under threat. Susiya is located in the South Hebron Hills, in Area C of the southern occupied West Bank. This means that, despite being in Palestine, Israel has complete control over the village. Area C, which contains over 60% of the West Bank, is under full military control, and Israel refuses to issue permits for Palestinian construction. Susiya is considered “illegal” by Israel and has been embroiled in legal battles with the Israeli state for many years; despite the fact that many of the village’s 300 residents have ties to land that predates the creation of Israel, and have Ottoman-era land documents to prove it. 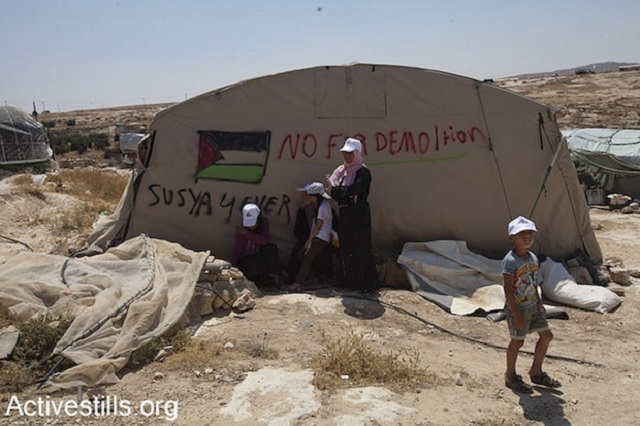 In 1986, Israel declared Susiya an archaeological site, displaced its people and demolished their homes. Since then, the villagers have faced multiple demolitions, and Israel has denied all their requests to formally regulate their residence of their land, denying every single request for building permits, including appeals. Susiya’s inhabitants have, therefore, lived under constant threat of expulsion by the Israeli state, leaving them extremely vulnerable. Israel is actively pursuing a policy of forcibly transferring Palestinians out of many West Bank villages in order to establish illegal Jewish-only settlements in Palestine. One of the tactics used by Israel to force Palestinians off their land is the demolition of homes and essential infrastructure. On Wednesday 6th December, during the week the demolitions are scheduled to take place, there will be a Parliamentary debate on the effect of Israeli demolitions on Palestinian communities. An Early Day Motion (EDM) has been tabled in response to the demolition order.